What Paralegal Program should you choose? 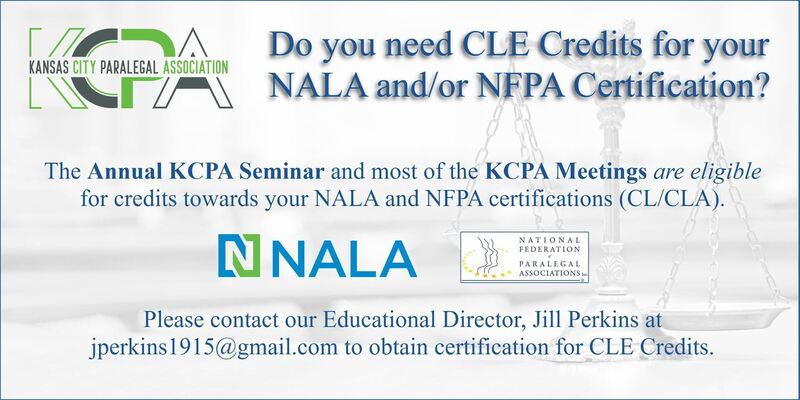 KCPA does not endorse any one paralegal program. Selecting a program is a personal choice that requires analyzing all available information and circumstances. With a number of classroom programs available in or close to Kansas City and numerous online/distance learning programs, your choices are aplenty. It would be difficult to make the list of considerations regarding your choice as everyone’s priorities vary. However, every person shelling out their hard earned money and limited time, should probably rank first, the program they choose be accredited by the American Bar Association. Some employers might not have strong feelings about that, but others will. Other factors to weigh and in your own personal order of importance: cost and financial aid, location, flexibility, curriculum and type of program (degree or certificate), program length, career services, internships. Those factors would seem obvious. But, could you find a program that accepts some credit hours you have already obtained from another school? What can you learn about the faculty and or alumni data? Be sure to become familiar with KCPA’s educational scholarship opportunities. Consider your research and decision making efforts the first task assigned as a professional paralegal.